My vote: 3.5 out of 5 stars. I like the people here, they were nice and helpful, albeit a bit slow if it was swamped (but that's pretty normal when you're packed at the lunch rush). I've had a few things here the 2 times I've been: Grilled Cheese w. Tomato/Basil, Veggie Soup, Fries and the Lucky Cheeseburger with a side of fruit. The grilled cheese was pretty good, and I like that they elevated a regular grilled cheese a bit with the addition of tomato, basil and balsamic vinegar! The veggie soup was tasty, a bit on the spicy side, but if you like soup with some pep it was good and tasted homemade. 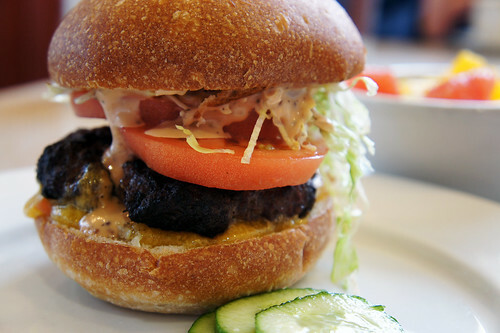 The Lucky Cheeseburger was HUGE, and thank goodness it had sauce on it and a tomato, otherwise it would have been dry. Why? Because me and a friend both ordered our meat medium rare to medium, and it came out well done. Argh! I hate it when that happens...I want to go back next time, order it rare, and see what happens. Also $12.95 is very steep for an "ok" burger at lunch, especially when a certain "infamous" burger food truck in Seattle is making a way better burger for less. Anyway, I want to also mention the fresh fruit cocktail, because I thought it was really awesome that there was ACTUAL FRESH FRUIT in it, aha! Like pear, and Granny Smith apples! Looked like they were keeping it "seasonal". 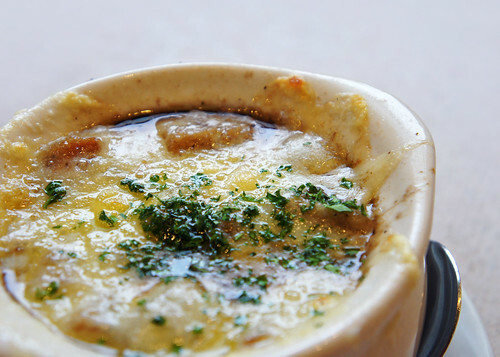 My other friends had a veggie burger and the french onion soup, both of which they said were tasty! 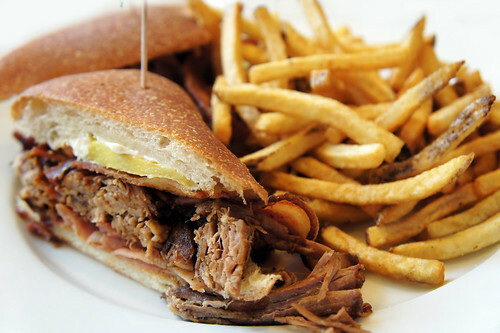 I really want to make this a regular place for lunch, and guess what? 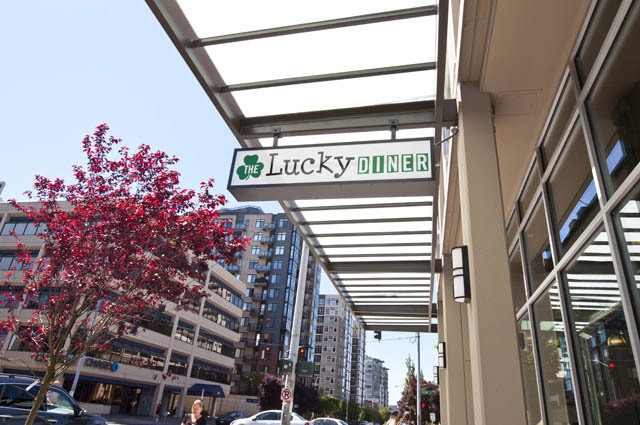 It probably will be, because I like this option in Belltown for lunch! Sure, it might not be outstanding, but it's good. And I'm hoping that they will get even better! 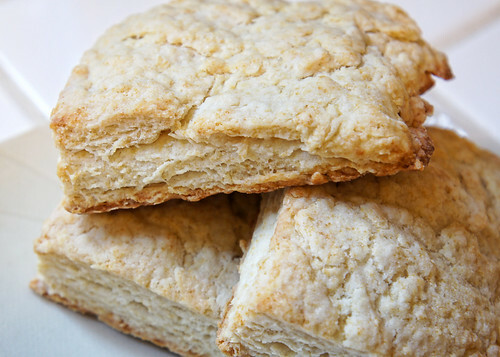 Found this recipe by Tyler Florence that made some super flaky buttery biscuits! Nice and crispy on the outside and soft layers on the inside. I still wished they rose higher, but they definitely did the trick for the biscuits and gravy we were making for dinner one night. I didn't bother making round ones, just simply cutting the turned out dough into nice big squares so I didn't have any scraps of dough left. Although I do like to make those into little cinnamon twists if I do use that method. Either way, I definitely recommend this recipe! There's lots of comments on the original recipe page too, if you're looking for substitute ideas. 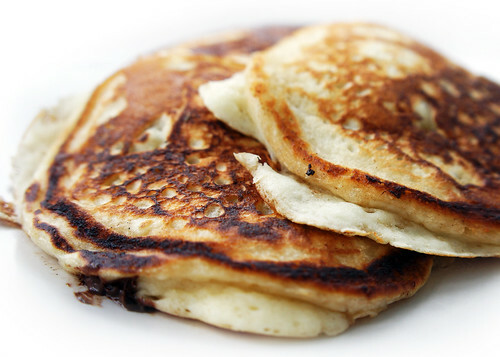 Buttermilk Pancakes with Chocolate Chips! Adapted from this recipe that used blueberries, I thought it would be a nice surprise for my husband on the morning of his birthday! We had some leftover buttermilk from making biscuits the other day so I thought the best use out of it would be a stack of delicious fluffy pancakes. I'm always afraid of over-mixing my batter, which this recipe mentions will result in dense flat pancakes so I made sure to stir it minimally. There's supposed to be lumps in this particular batter. Enjoy this recipe and add whatever chips and fruit you like! Beat the eggs with the buttermilk and melted butter. Combine the dry and the wet ingredients into a lumpy batter, being careful not to over mix, see Cook's Note*. Heat some butter in a skillet over medium heat. Spoon 1/3 cup of batter into the skillet and sprinkle the top with some of the chocolate chips (not too many in bunches or it might burn). Cook for 2 to 3 minutes on each side. *Cook's Note: Over mixed batter will result in flat, heavy pancakes.